With Readly you can read Real Crime Book of Unsolved Crimes and thousands of other magazines on your tablet and smartphone. Get access to all with just one subscription. New releases and back issues – all included. There are some crimes that stay with you forever. Not because of their gruesome nature, their high body counts or their despicable perpetrators, but because, despite all the efforts of investigators, they remain unsolved. 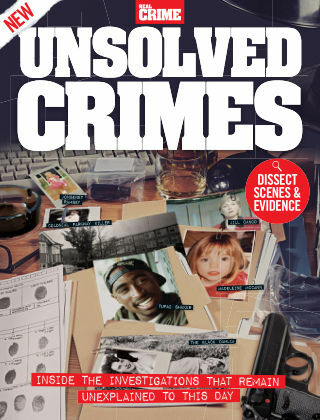 Packed with crime scene photos, maps of killers’ hunting grounds and suspicious suspects, the world’s most notorious unsolved crimes are featured within these pages.